Drive-Ins Soon Face Hollywood's Digital Switch This is the year that drive-in movie theater owners have dreaded: They must convert their projectors from film to digital. It costs tens of thousands of dollars to make the switch, and that may be too much for many of the remaining 400 or so drive-ins left in the United States. Many drive-ins and mom and pop theaters will soon have to make the switch from film to digital after putting it off because of the high cost of new projectors. Pull into the Bourbon Drive-In just off U.S. Highway 68 near Paris, Ky., and it's like stepping back in time. Patricia and Lanny Earlywine own the 7-acre drive-in. It's been connected to the family since the theater opened in 1956. Even the popcorn machine is original. "To do a drive-in, it sort of gets in your blood. You have to love it," Patricia says. At one point there were more than 4,000 drive-in movie theaters across the country. Now there are fewer than 400. 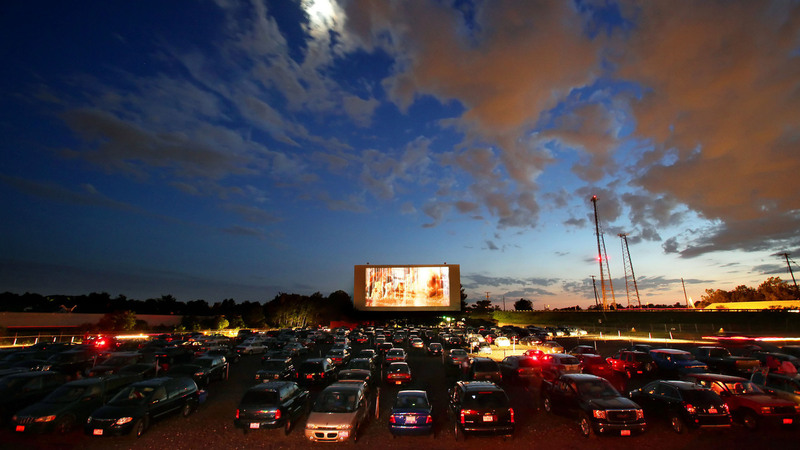 As a seasonal business, drive-ins have to compete with indoor theaters, other summer activities and perhaps most of all, the weather. Roadside America: The Decline Of Kitsch? Cheap Thrills Across The U.S.A.
"There was one year, [it] rained 13 weekends in a row. Take that one to the bank," Patricia says. Drive-ins will soon face another challenge, when studios stop distributing movies on 35 mm film and go entirely digital. No cutoff date has been announced. Switching to digital reduces production and shipping costs, and the picture quality is better. The transition away from film started several years ago, but many drive-ins and mom and pop theaters put it off because of the high cost of new projectors. "My goodness, the projector at the Bengies is a little over $50,000 — just the projector; forget the installation and the go-withs," says D. Edward Vogel of Bengies Drive-In near Baltimore. Vogel is also a board member of the United Drive-In Theater Owners Association. He says it's unclear how many drive-ins might close because of the change to digital. "At the end of the day, the drive-in theater is a very hard-earned small business, usually continued by somebody with a purposeful effort to keep the drive-in in place," Vogel says. There is help for drive-in owners. Motion picture companies are using some of the money saved from not having to ship heavy film canisters to help recoup the cost of new projectors. But the Bourbon Drive-In doesn't have the high-speed Internet access needed to qualify for that program. So Patricia Earlywine will use a loan to pay for the switch. She wonders, though, just how durable a digital projector will be. "Most of the people that have their equipment, they've had it for 60 years and if something breaks, they can take parts and they can fix it," she says.